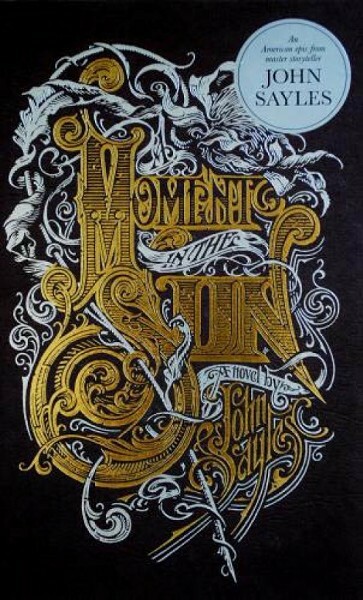 A Moment in the Sun is the new novel from John Sayles, author of Union Dues and filmmaker of Matewan, Eight Men Out and Lone Star. It is an epic spanning events in America in the wake of the Spanish-American War from 1897-1902. Sayles spoke to City Weekly in advance of a local appearance. City Weekly: What started you down the road to A Moment in the Sun? John Sayles: The two main incidents that inspired me to start—and I felt there was a connection between them—were the racial coup in Wilmington, N.C., in 1898 and then the Philippine-American War in 1899. A kind of shorthand for the book is the last nail in the coffin for Reconstruction and the beginning of America not so much being an imperialist country—which it kind of had been already—but thinking of itself as an imperialist country. CW: 955 pages is an intimidating size. Why one book of this length, rather than a series or some other format? JS: I didn’t plan this out. But … at the center of everything I do is the hope that the audience or the reader gets involved in the characters’ lives and wants to find out what happens next. Once I had four main characters and a lot of other characters, I felt the story doesn’t end until the official end of the Philippine-American War. … It really is more than a snapshot of an era; it’s a big album of an era. CW: You address fairly pointedly the way the news media at the time sold the war. JS: A good deal of why we got into the Spanish-American war was because Joe Pulitzer and William Randolph Hearst were in a circulation war. Hearst started out this thing with Cuba of, “This is outrageous, this is happening just 90 miles south of our coast.” And outrageous stuff was happening, but he hadn’t really started harping on it until he decided, “We need a good war, and that’ll boost my circulation.” … These were not patriotic decisions; they were business decisions. CW: Since you’re also a filmmaker, I found it interesting that you deal with the early days of motion pictures with a fair amount of ambivalence. JS: I discovered … the “actualities,” which today we’d call “documentaries.” … They realized trying to get a camera down to Cuba, it was just too hot and too heavy to carry around, so they … staged fake battles in which local African-American guys played Filipinos. People thought they were watching a documentary, and that Filipinos looked like African-Americans. The political cartoonists of the time did the same thing … drawing [Filipinos] as pitch-black darkies with bones in their noses. … What struck me is how much the beginning of the film business was about spectacle, but also in its news function, it was doing exactly what the yellow press was. It was there to shock and entertain and not really deliver much of reality. CW: What can we learn from the Wilmington Uprising in terms of political populism that rallies around us vs. them rhetoric? JS: I think it’s a human trait to distrust the other; it’s also a human trait to think well of yourself. So you get a guy like Thomas Dixon [whose] arguments were very scholarly, but this was also the guy who wrote The Klansman, which became Birth of a Nation and was all about … if you Yankees just understood how horrible it is to give these black apes the vote, you’d understand how noble the Klan was. … That’s a strong part of human nature. We also have a better side to us, and those sides are always fighting. CW: Some of the more sympathetic characters resort to cons or deception to finally get a break. CW: It would be easy to read the material about American military interventionism as a metaphor for contemporary events. Do you have to tread particularly carefully so that it doesn’t feel too obviously like a political statement? JS: It’s not why I wrote the book, but those parallels are unavoidable. If I had written it in 1955, people might have said, “This is just like the Nazi occupation of France”; if I’d written it in 1975, people might have said, “This is just like Vietnam.” When one country is invading another and doesn’t understand the culture, you’re going to have these situations. … For me, the trick is not to write a book that’s an allegory, but to put together a mosaic of all these different people’s lives.